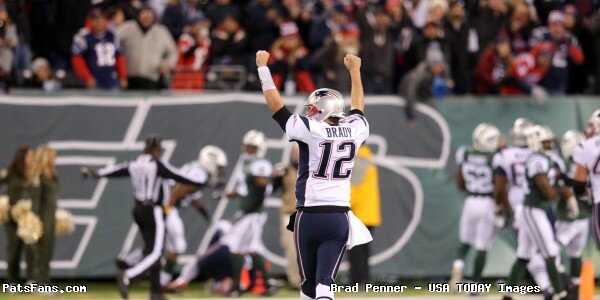 The Patriots took care of business, downing the Jets 26-6 as they should have and enter the playoffs as the #1 seed. 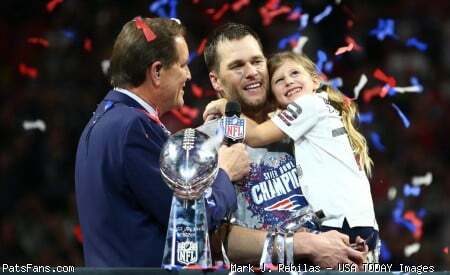 Which means that as long as they keep winning, the AFC path to the Super Bowl goes thru Foxboro. Just as importantly, the Patriots appeared to come out of the game relatively unscathed physically, something that really important as their injury list looks like a starting lineup most weeks. But the win wasn’t your garden variety Patriots victory, the team didn’t execute exceptionally well offensively and looked sluggish for most of the game. Of course, the number of missing players and the cold would have had plenty to do with that. While it isn’t worthy of sounding the alarm bells, they’ll be the first to say, this isn’t the way they wanted to head into the bye week. Defensively, the team allowed just two field goals and as we all know, the Patriots won’t lose many games allowing just six points. 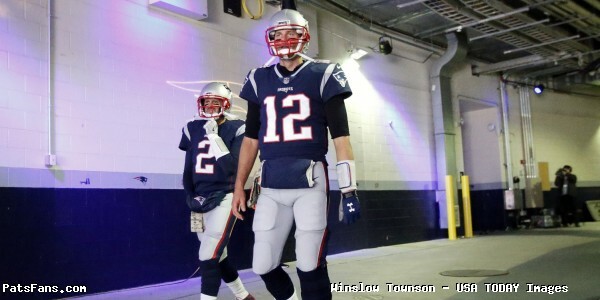 Tom Brady didn’t have a sharp game completing just 18 of 37 for just 190 yards with two touchdowns and no picks. His game was off and the communication with the wide receivers was off as well. He identified a mismatch and launched a ball where Brandin Cooks should have had an easy touchdown. But Cooks inexplicably stopped running. In the red zone, Brady threw to the corner and no one ran there and was flagged for intentional grounding. Several of his passes were off the mark. He threw badly behind Danny Amendola and was nearly picked off on another. He had Cooks on a deep cross but overthrew it on what appeared to be a touchdown. But his receivers dropped several passes as well, Brady was going to attempt to throw a block on a Jet Sweep and at the last moment, thought better or it and to be gracious, he at least got in the way. 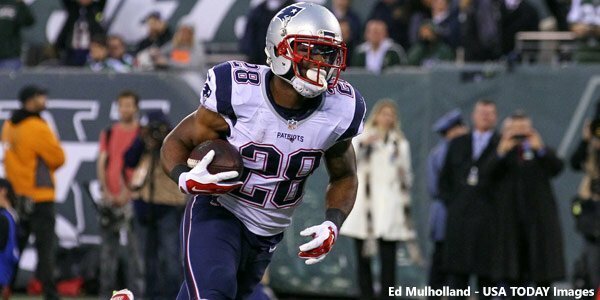 Once again there was no James White, no Rex Burkhead, and no Mike Gillislee. No problem. Dion Lewis, the little big man was the team’s workhorse logging 32 touches as he was the star of the game offensively getting 93 yards on the ground and another 40 thru the air. Lewis scored twice, one rushing, one receiving and continuously made yards after contact. Lewis channeled his inner Le’Veon Bell on Sunday with several stops behind the line of scrimmage to allow his blockers to gain an edge. That’s someone who’s seeing the field well and his patience paid off. Brandon Bolden had nine carries and averaged better than five yards per rush but was not good in pass protection, getting pushed back time and again. James Develin was his usual solid self, although Brady overthrew him badly on the first series of the game. The wide receivers were targeted 25 times on Sunday and they were not great overall. But they made up by constantly drawing third-down penalties on the Jets secondary. We mentioned above, Cooks stopped on what would have been a deep post-touchdown route. He also dropped an easy quick screen. 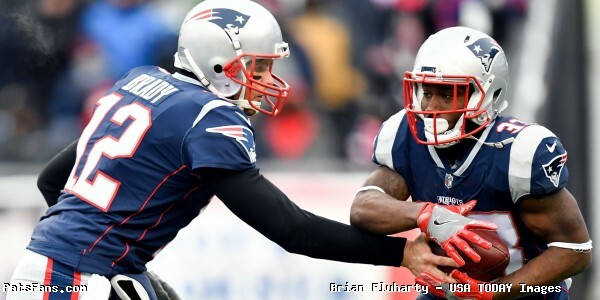 But he finished with 5 catches for 79 yards which included a nice 37-yard sluggo route where he and Brady hooked up nicely and drew a couple of defensive penalties including a 40+ yarder which would have been another touchdown. He caught a five-yard touchdown pass. Danny Amendola was the cause for Cooks TD being so wide open. He ran a shallow cross and dragged his defender with him, causing two Jets (the other covering Cooks) to collide, leaving Cooks all alone in the end zone. But he too made an uncharacteristic mistake, misreading a hot route where Brady threw to air on the sideline and Amendola went out and up. 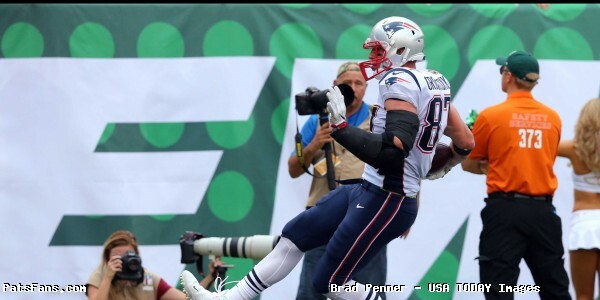 But his quick pass on a Jets blitz was a classic Amendola nice catch and run for 12 yards and a first down. Phillip Dorsett was wide open on a deep crossing pattern and misjudged the ball, diving for it when it wasn’t necessary and dropped it. But he made a nice sliding/diving catch across the middle. Rob Gronkowski officially played in this game but wasn’t targeted once in the passing game. Now the alarmists are hitting the panic buttons all over New England, “Oh my gawd, if the farkin’ Jets can take away Gronk, we’re one and done in the playoffs!” To quote Aaron Rodgers… R-E-L-A-X. 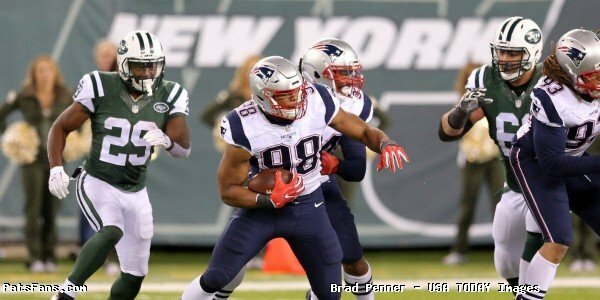 Not taking anything away from the Jets game plan, where they planned on doubling him all game, but Gronks absence in the passing game was completely by design…by the Patriots coaches. Brady didn’t look to him once…not once. They let him go out there and block a bit in the running game and he ran some routes to stay sharp, but they essentially bubble-wrapped him for the playoffs. The offensive line’s play was a notch down from last week. They were only okay in the run blocking scheme this week. Lewis was hit too much at or behind the line of scrimmage, the Jets did a pretty good job of slowing things at the point of attack. Lewis by virtue of his elusiveness made more on his own than he should have. The pass blocking wasn’t as crisp either. While we mentioned Bolden whiffing a few times on A-gap blitzes, it wasn’t all on him. 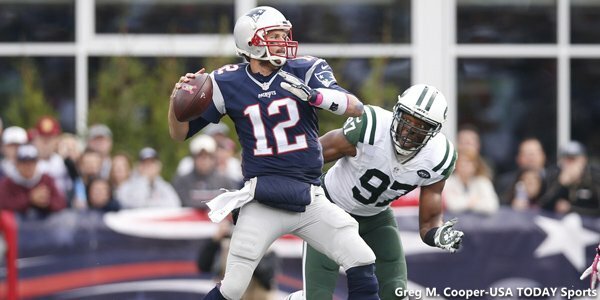 The Jets for a team that struggled to get consistent pressure all season, had more than they should have against Brady. Nate Solder and Cam Fleming didn’t have great days at tackle, allowing too many pressures coming off the edge. It was a very good day for the Patriots defensive line. When was the last time that they stuffed Bilal Powell, who usually tortures them? Powell had 13 carries for 46 yards but 24 of them came on one play where Eric Lee got washed inside and Elandon Roberts took a bad angle. After that, Powell had 12 carries for 22 yards. Overall, the Jets carried 19 times for 40 yards which averages out to 2.1 yards per carry. Malcom Brown had another very solid day inside, stuffing a few plays and being stout at the point of attack. Ditto for Lawrence Guy who has had a quietly solid season. Guy does the dirty work between the tackles and had a couple of run stuffs as well. Eric Lee had a so-so day but got Bryce Petty for a sack and a safety in the fourth quarter. Marquis Flowers was the main guy on the edge as although Kyle Van Noy returned to action, they only played him about 15 snaps, just to get the rust off. Flowers and Roberts were okay for the most part, but they both blew the coverage allowing a big gain to the tight end Sterling. James Harrison made his debut and played between 25-30 snaps and looks far from done initially. He does a very good job of setting the edge and reacted well to a third-down pass underneath by tattooing Robby Anderson with a thunderous hit short of the sticks. That one fired up the other defensive players. Late in the game, Matt Patricia let him get after Petty, early in the game he was on the field mainly in run support as he only had a few days of practice in which to acclimate to the Patriots defense. Once he did rush, he was impressive, getting two sacks and forcing a fumble. On his one sack, he showed a rip move that was pure power. A nice start for Harrison. If he can give them 25 or so plays like that every week, the coaches will be very happy. Malcolm Butler and Stephon Gilmore had kind of a bounce-back week. Kind of? Well, they were rarely targeted, as the Jets don’t have a prolific pass receiving core. They were most often seen in run support. But when your opponent, even if it is the Jets go 0-12 on third down, you’re doing well. New York was targeting Jonathan Jones, who was beaten by ArDarius Stewart for a 46-yard bomb that was perfectly thrown by Petty. Devin McCourty was good but uncharacteristically missed an open field tackle. While Petty threw for 242 yards, the Jets scored six points and were (again) 0-12 on third down. Ryan Allen had easily his best game of the year. He put five punts inside the 20 and in the second half, he dropped three inside the five. Matthew Slater downed two of them. It was a fantastic day for him. The coverage units were fantastic as usual although the return game was only so-so. Bill Belichick was playing some Jedi mind tricks on the Jets psyche by placing some big thermometers right outside the Jets locker room to remind them how cold it was. While he was sending a subtle message to his team to ignore the elements by doing his normal walk-thru before the game in a t-shirt and shorts. Belichick went against his normal self by winning the toss and taking the ball to start the game which proved smart. They went right down the field and scored before settling into the deep freeze for the majority of the game. Josh McDaniels got creative with an offense missing several key players by calling a multitude of different things and they did enough to win. Matt Patricia’s defense has made a remarkable turnaround despite also missing some key players for most of the season. Remember when fans were calling for his head after the first four games where the defense was being gashed? Now he’s being interviewed by numerous teams to be their head coach. 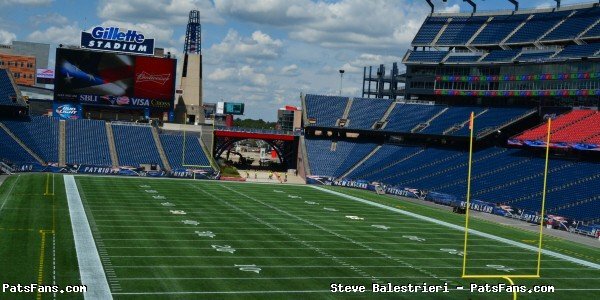 This entry was posted in 2017 NFL Season, 2017 Patriots Season, Patriots Commentary, Patriots News and tagged 2017 Patriots Season, Bilal Powell, Bill Belichick, Bryce Petty, Chris Hogan, Danny Amendola, Dion Lewis, James White, Malcolm Butler, New England Patriots, New York Jets, NFL, Patriots, Patriots edge rushers, Rob Gronkowski, Stephon Gilmore, Tom Brady, Trey Flowers on January 2, 2018 by Steve Balestrieri.